OD (our daughter) and I did a 5K run Saturday morning. We were out of the house early. MW (my wife) had a 10:00 am appointment. She left Luna on her own, lying on her day bed in the fenced paddock for what should have been about an hour of gentle sleeping and stretching. In the past couple of weeks, we’d left her on her own this way several times without incident. She’d proved herself good for up to 3 hours on her own. Alas, about everything that could go wrong did. Kinda like the liberation of Iraq. When OD and I walked into the house, Luna was crying with a crazed desperation. Her paddock fencing was spun 90 degrees. Her day bed was shoved in one corner. She lay on her back on the floor, her left front left leg stretched high in the air as if she had been chained up by a Blackwater-contracted peacekeeper for having scratched pro-Saddam slogans with her paws on a Basra beach. Somehow, she had managed to get her paw wedged in the small space between the fence door and the fence. She’d probably been pawing at the gate, thinking she could force it open, and unfortunately jammed some of her toes between the metal bars. She fell over and as she tumbled to the ground, she wedged her paw further. As she lay and frantically pulled on her paw to free it, her weight simply pulled her paw tighter and tighter into the gap. This is surely the mental dilemma of all animals when they get caught in leghold traps. They are trapped. They are helpless. It really is a gruesome sense of hopelessness for an animal and a pretty logical prelude to chewing one’s foot off, Aron Ralston-style. I have no idea how long she had been in this predicament but she was completely stuck. It took about 10 sec. to run over, bend the bars to free her and then scramble over to pick her up. By this time, OD was in tears; she was almost as terrified as her puppy. Luna limped around for another minute before we picked her up and settled her on the sofa to recuperate. There ensued a pretty quiet hour between OD and her puppy. They recovered their spirits together. 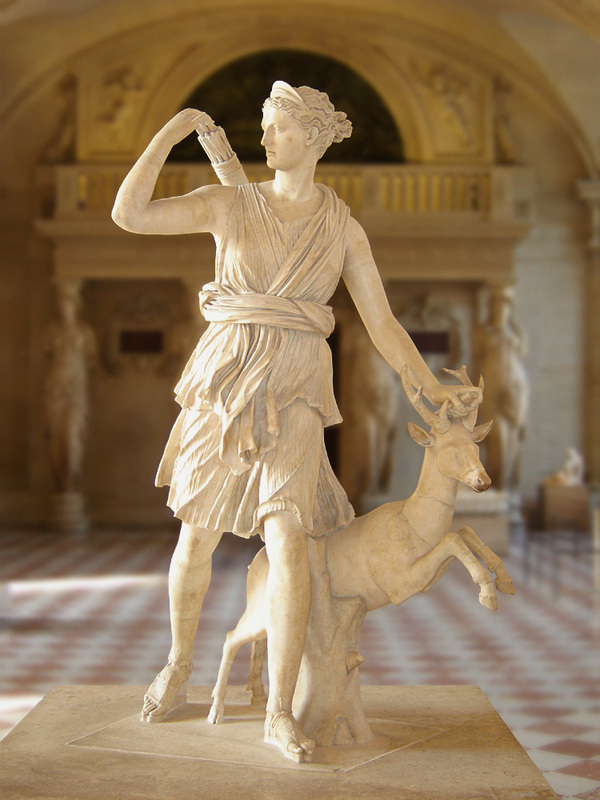 I gave thanks to Artemis, the protector of animals, for unconsciously suggesting to me as we drove home from the 5K that we skip the planned post-race visit to the local ice cream parlor. I’ve been so far unable to sacrifice a gilded heifer to her glory as Nestor does in Homer’s Odyssey for Pallas Athene. The neighbors would have a cow. Luna quickly improved. Either she was more unhurt than we thought, or she’s got the recuperative powers of organisms that can regrow body parts. One hour of sofa rest was sufficient. Four hours later, we took her for a gentle off-leash walk at the dog park. She spent it caroming through the puddles. We’ve got to reconsider the leaving-the-great-dane-puppy-alone-at-home thing. At least in the paddock with her puppy-sized paws. By the time her adult paws will be too large to get pinched, she’ll be able to almost straddle the fence, anyway. Plan B required. We need to err on the side of the unlikely but possible, and probably take her along on more outings than we normally would. But talk about a fluke accident. I don’t think she could repeat it if we left her alone every day for the next 6 months. It would be like nuclear contingency folks planning for the absolutely unthinkable–a combination of a tsunami and a major earthquake. After all, what are the chances that a 9.0 earthquake could strike Japan, causing a 300-year tsunami that swamps the backup generators of one of the largest nuclear power stations in the country? Sounds like a science fiction yarn about Godzilla destroying Tokyo.